When you try to import multiple images into a single sprite in GameMaker Studio 2, you could end up with unexpected results. 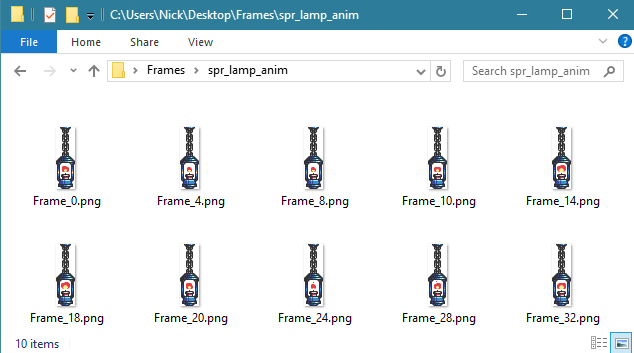 Specifically, if the images have different sizes (width and height), the sprite size will be equal to that of the largest image, but all the other images will be imported stretched to fill the canvas (effectively ruining the sprite). Let’s say that you have a sprite with a complex animation (i.e. variable frame rate). As you can see from the following image, each frame will play at a specific time (I use a simple Photoshop script to export the frames, I’ll write an article about it later). This is the folder’s content, exported from Photoshop. File naming scheme is important. Much has been written about resolution scaling in pixel art games. 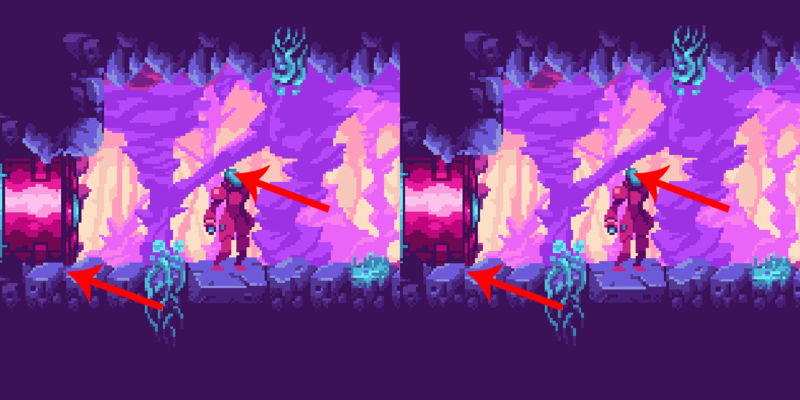 It usually comes down to this simplistic rule: always resize 2D games by integer values (2x, 3x, 4x, 5x, etc) so pixel art will always look correct. I wrote that myself; to make a good looking low-res pixel art game on modern monitors, you should stick with a 384×216 resolution and scale it up 5 times to get a perfect 1920×1080 (1080p) game. That’s still true-ish. But the problem I was trying to address wasn’t pixel distortion. It was pixel decimation. Let’s see how to solve it using any resolution you want to use. This article will guide you through the setup of a Xubuntu 16.04 LTS Virtual Machine to test, compile and run your GameMaker Studio 2 projects on Linux. I’m choosing Xubuntu instead of Ubuntu simply because Xubuntu is less resource hungry (and my notebook is 5 years old I got a new notebook btw). The resulting package will run just fine on Ubuntu machines as well.